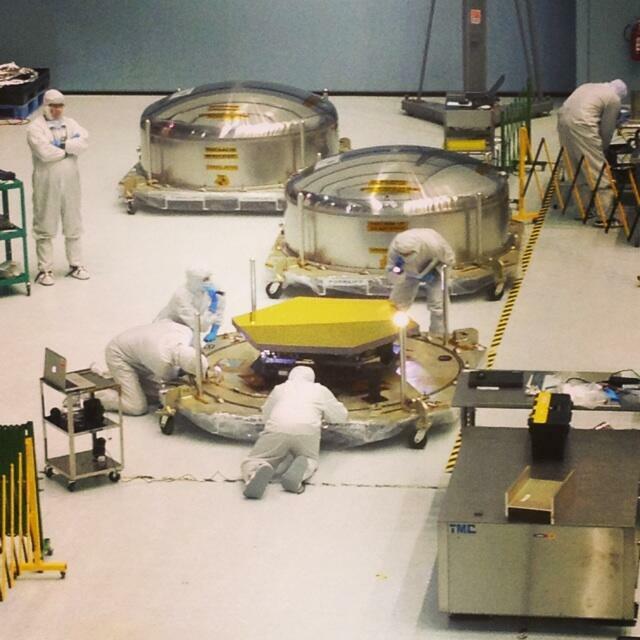 Feb. 2014 – The last three mirrors for the JWST were delivered! 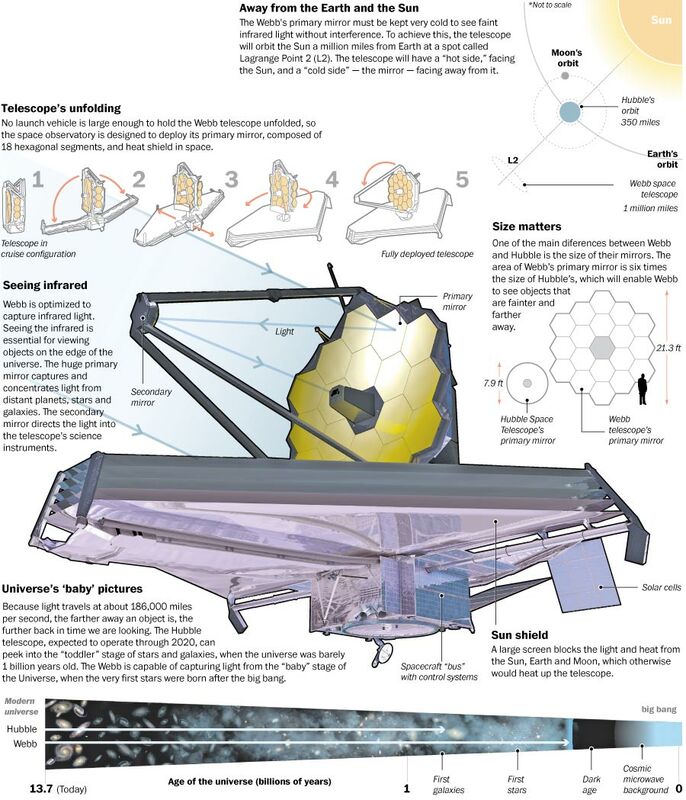 James Webb Space Telescope is an absolutely impressive invention of modern engineering. 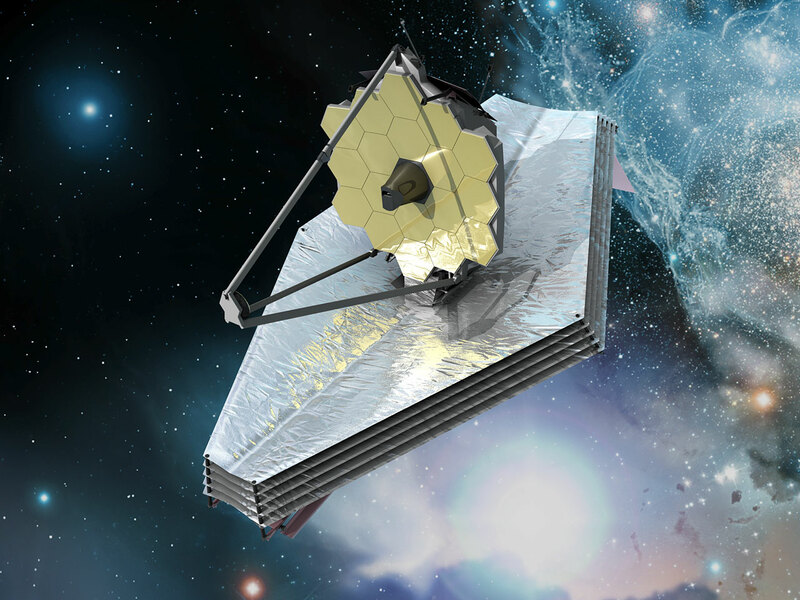 It is a space telescope that that is a join venture between NASA, ESA and CSA (Canadian Space Agency) and is planned to be launched to space in 2018. 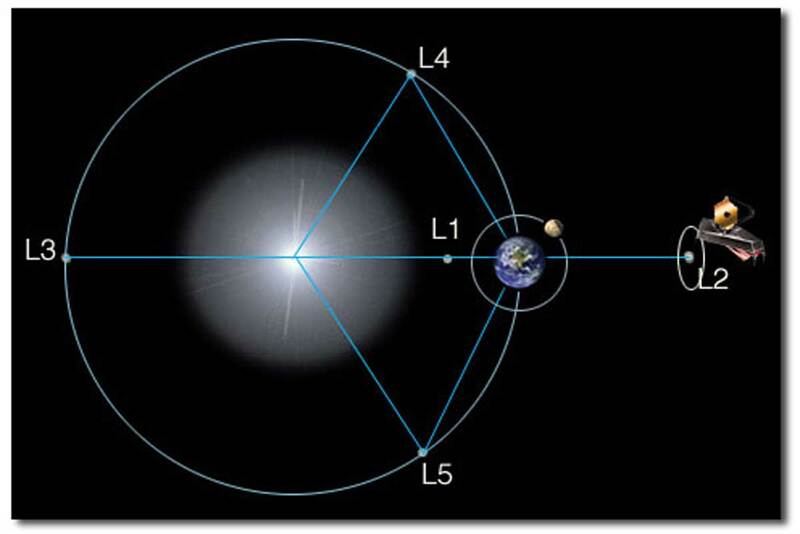 JWST is planned to orbit on a L2 point in the Sun-Earth system (about 1.5 mil. 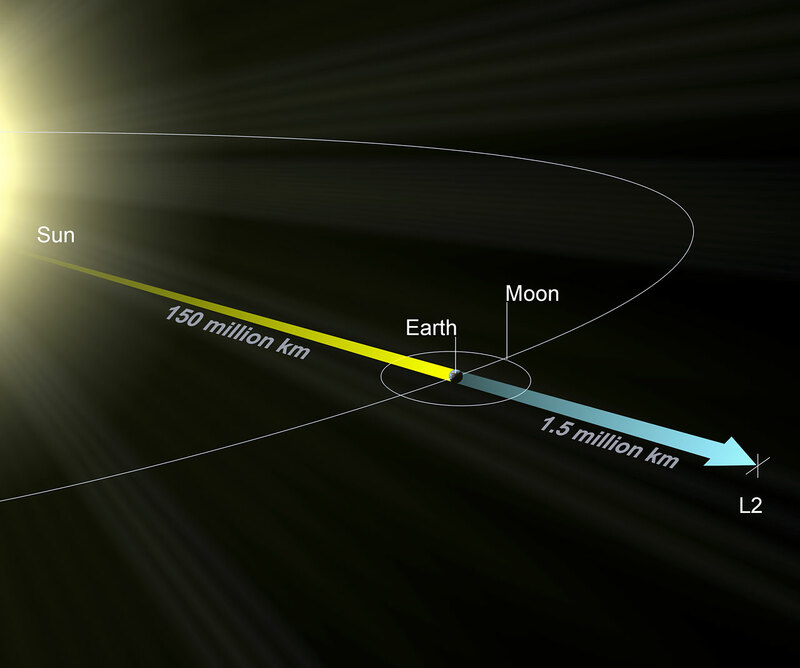 km from Earth in a direction opposite of the Sun). It will have a giant shield keeping it cold (-233 degrees Celsius) and on the dark side, so it doesn’t get light from Earth and Sun, so that it will have the precision to observe red-shifted light from the early universe. 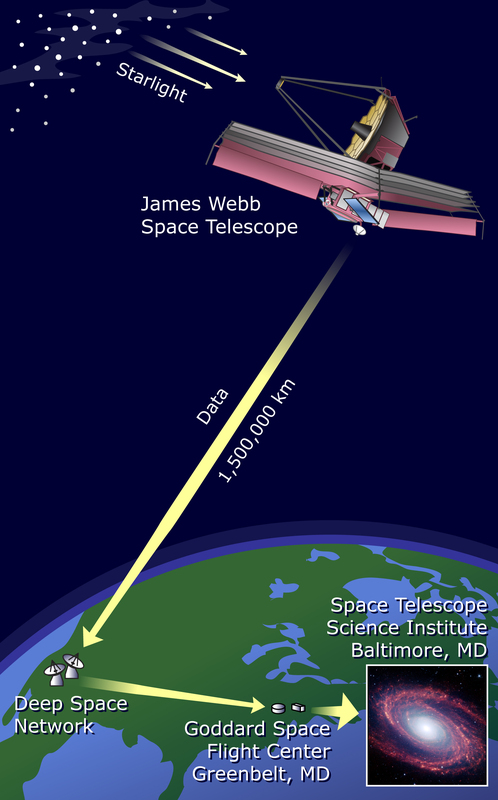 The telescope will detect infrared light that is 400 times fainter than the current space-base telescopes can see (Hubble). What does that mean? 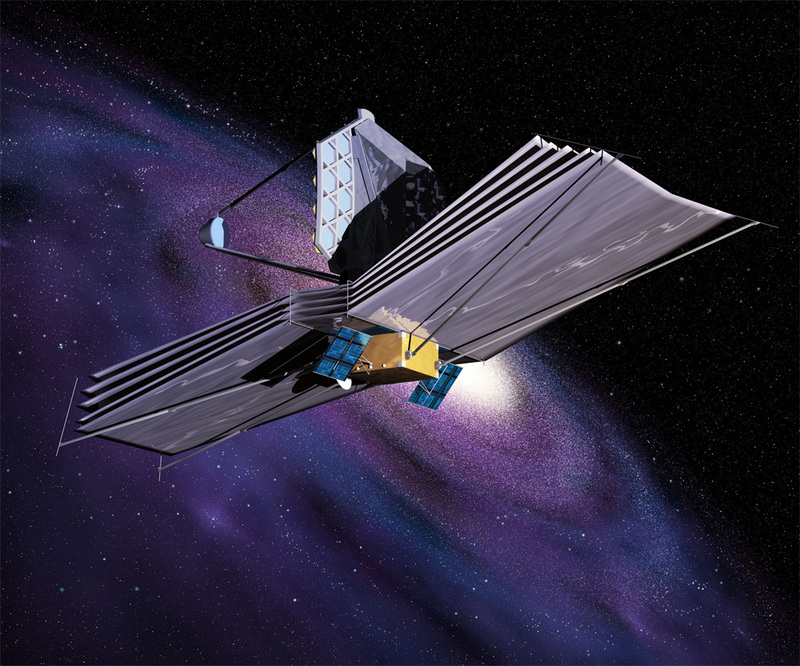 It means that James Webb Space Telescope will be able to see through cosmic dust at the most distant objects in the universe, the earliest galaxies and planets around other stars. It will take pictures of the universe in infrared light (which is essentially heat) and break it into its component colors named spectra. This will help scientists learn what are distant objects made of and how fast do they move and in what direction. 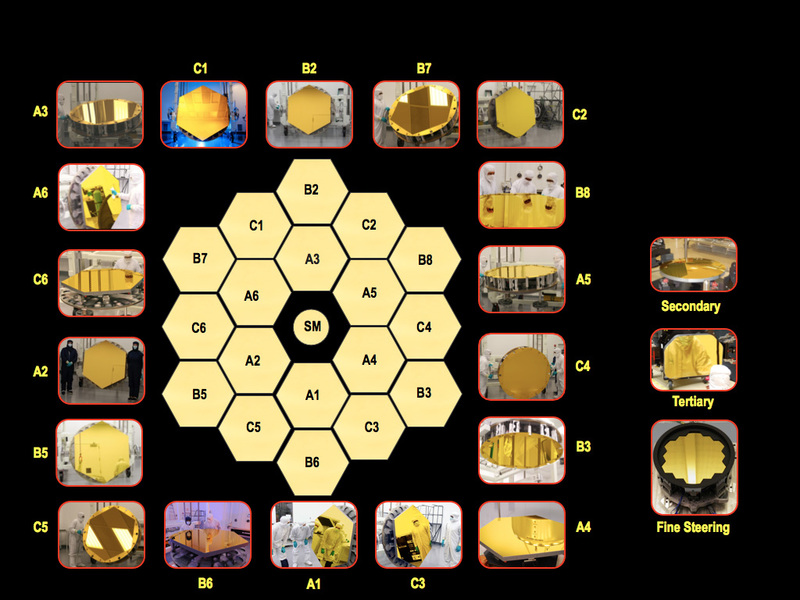 JWST has 18 hexagonal mirrors that sit in a dust-free environment right now in Goddard Space Flight Center. The mirrors will fit together to make a single giant mirror – 6.5 meters in diameter. 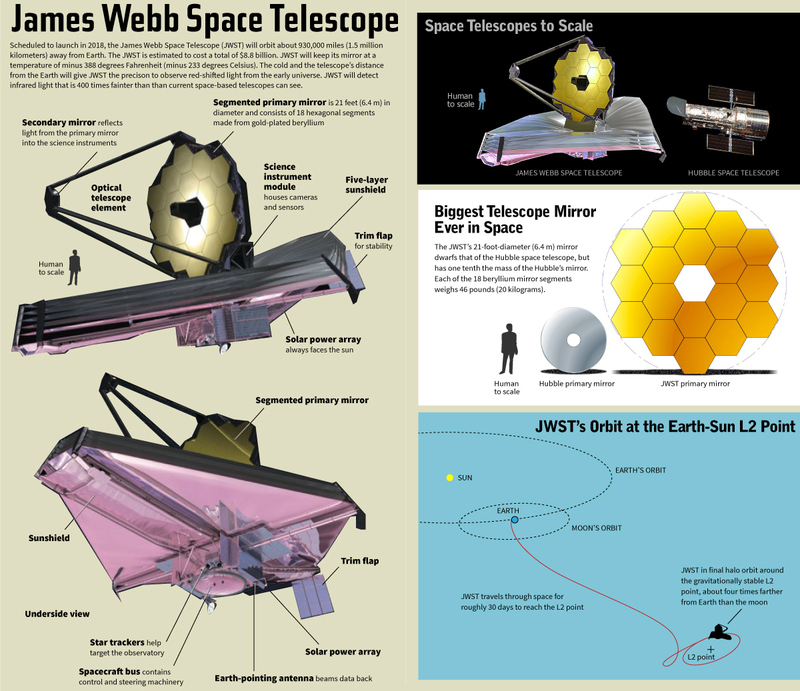 Listen to this – JWST’s mirror is above three times bigger than the mirror of Hubble Space Telescope, but each of its 18 pieces has 1/10th of the mass of Hubble’s mirror! They are made of beryllium and weigh 20 kg each. The $8.8 billion JWST is in its most expensive year of its development. 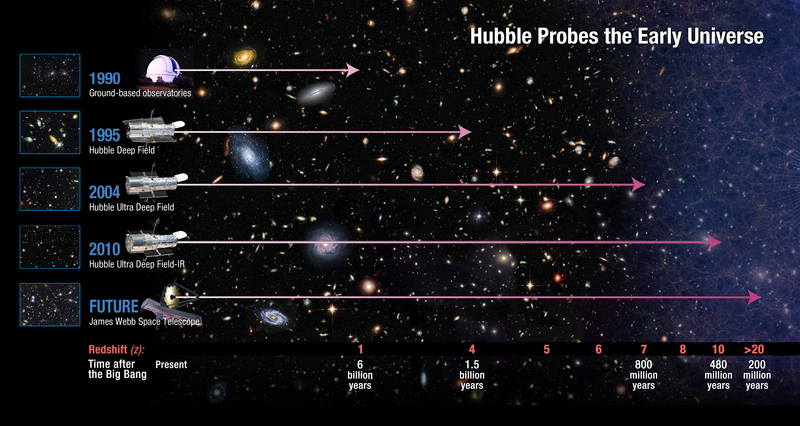 The telescope is expected to operate on a five-year primary mission. American Congress last month approved $658.2 million for the project for 2014.